Award winning Japanese illustrator based in New York City and instructor at School of Visual Arts. UPDATE: Thank you. This workshop is now sold out. Looking forward to seeing all of you who are attending. 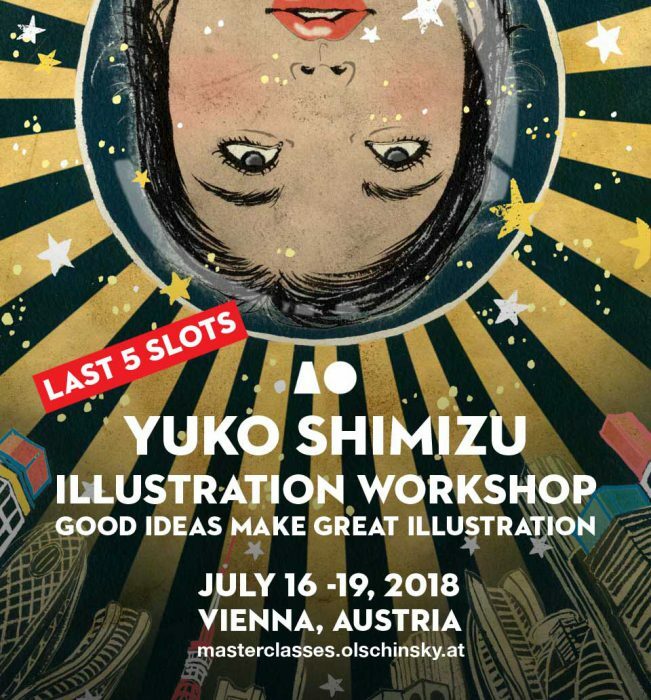 Four day intensive illustration workshop in Vienna is back by popular demand! This workshop is designed for intermediate and above level illustrators/artists who want to work on strengthen your idea and thinking skills. Limited to up to 12 participants in very intimate setting.